Now Hiring: Tool & Die Makers. 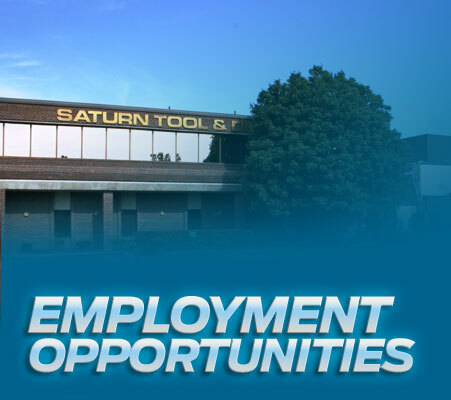 Saturn Tool & Die (Windsor) Inc. has immediate openings for 5 experienced Tool & Die Makers at our manufacturing site in Windsor, Ontario. We are offering fulltime permanent positions, competitive pay rate, and great work conditions. - Assist other Tool Shop personnel and apprentices as required. - $24.00 to $34.00 per hour. (Minimum 5 years experienced required and a trade certificate or equivalent.